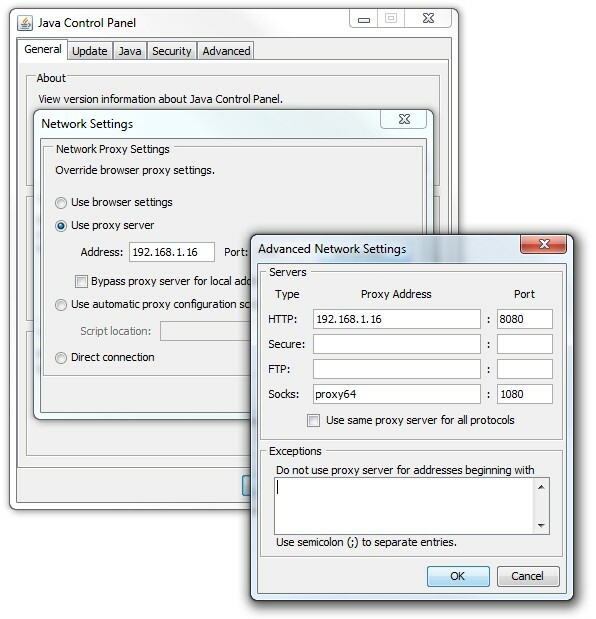 NetPhantom Client proxy configuration can be done using the standard way through the Java Control Panel. This streamlines the way that the client computers are configured in relation to NetPhantom. This information is of crucial value when tracking down issues related to client computer configuration. To have this information centralized in one single place and constantly updated, provides IT departments with a very powerful tool. As far as proxy protocols are concerned, NetPhantom adds support for SOCKS, versions 4 and 5. This is done using the PROXY client parameter as e.g. "PROXY:*SOCKS:ip.nu.mb.er:port".